Gaming isn’t an easy hobby to pick up as an adult. From learning intricate button combinations to nailing navigation via analog sticks, it can tough to think of a controller as an extension of oneself, especially if your fingers are not used to gripping a hunk of plastic for a long period of time. Keeping in mind fans of all levels of experience, the following are some of the best games for beginners. 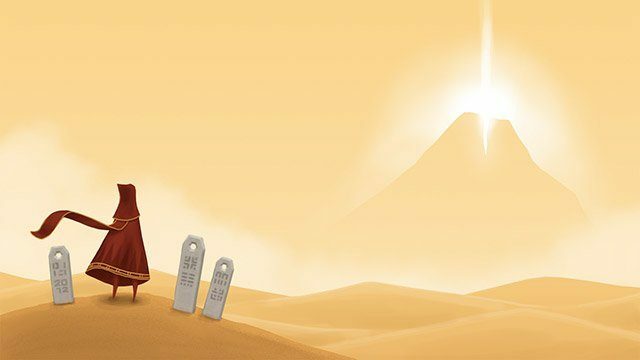 Journey allows gaming novices the chance to take on the role of a mysterious robed figure on a mission to reach the peak of a mountain that lies in the distance. A magical scarf helps guide users across desert ruins and up dark towers, keeping the difficulty level subdued throughout the three-hour trek. Beginners only need to learn how to move around with a controller’s analog sticks and press a button to get through the majority of the game. No fights or tricky puzzles get in the way of this calming, meditative experience. Journey is even an excellent title to play for those who misconceive the medium as entirely violent or unworthy of being called an art form. 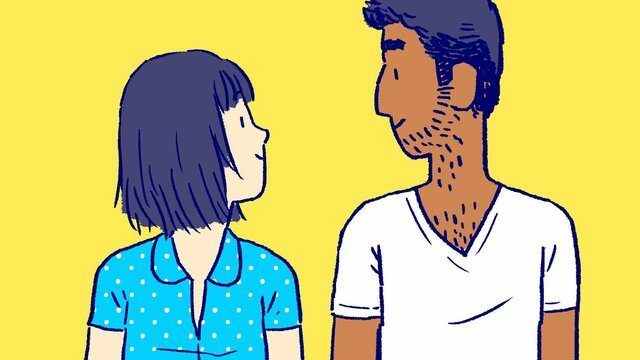 Speaking of art, Florence is a beautiful exploration of human relationships and the importance of self-respect. Rendered with a pencil sketch aesthetic, it follows the titular character as she falls in love with a cellist and experiences the ups and downs of starting a life with him. Seeing as how Florence is a mobile game, there’s no controller for beginners to worry about. The title entirely revolves around touch commands, tasking players with putting speech bubbles together and matching numbers. This gameplay premise is simple but effective, as both of these elements grow more complicated when Florence is stressed out. The experience isn’t frustrating by any stretch of the imagination and it should only take novices a little more than an hour to complete. 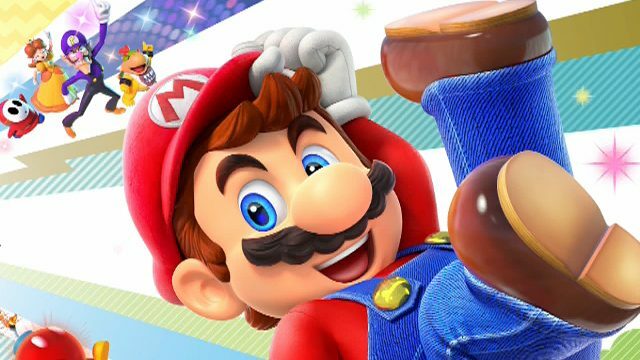 If the beginner in your life is a fan of board games, he or she will be right at home with Mario Party. Every iteration in the series features a familiar layout and has players strike a die to move forward. Some spots yield bonuses while others take away points, proving how random the outcome is. A slew of easy-to-control mini-games keeps the experience fresh and engaging throughout. Suffice it to say, one could lose many hours to Mario Party when playing with friends. Time flies when you’re having fun, after all. 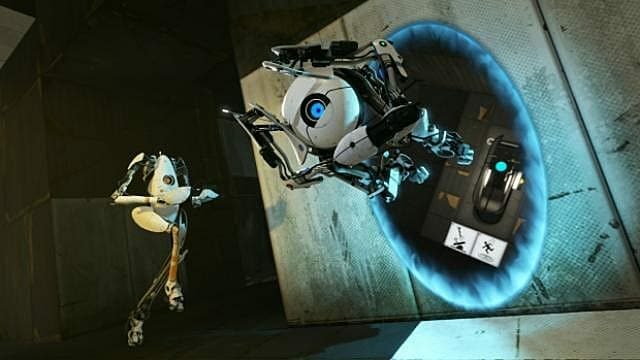 Quality voice acting and well-written comedic lines are only two of Portal 2‘s many strengths. This physics-driven puzzle game revolves around players shooting non-lethal portals into the environment around them in order to navigate across areas and circumvent unique obstacles. There are hardly any controls to memorize outside of blasting portals and picking up objects and, given the relatively low stakes, it’s a great game to learn to fundamentals of first-person shooter controls. In the title’s co-op mode, one player is in charge of shooting orange portals while the other is in charge of shooting blue ones. The two gateways are connected, meaning partners will need to work closely together to complete the game’s challenges. Novices shouldn’t worry if their characters die somehow, as these robots are designed with that purpose in mind (at least according to GLaDOS). 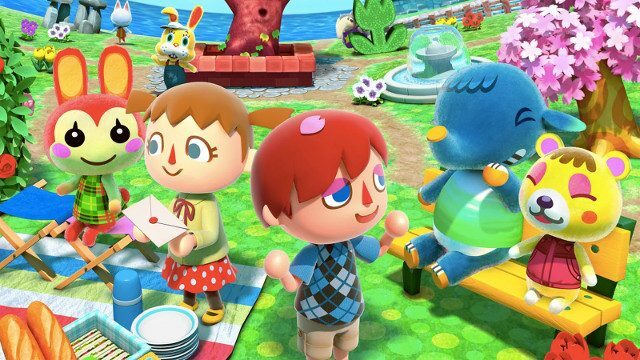 Nearly every title in Nintendo’s Animal Crossing franchise sees players take on the role of a new resident in a colorful town filled with cheery anthropomorphic critters. Users are encouraged to be a part of the community and contribute via activities that include bug catching, fossil hunting, and fishing. There are no looming threats to bog down players as they enjoy the game, aside from the massive debt that Tom Nook places on fans the moment they begin each iteration. Nintendo has assured people that this raccoon is actually a pretty nice guy. Beginners shouldn’t let Nook’s greed subtract from his cute exterior. 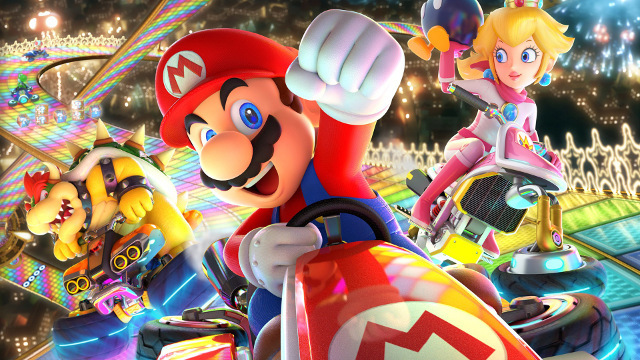 There are few racing games out there as addictive as Mario Kart. When playing alone, each title in the series constantly challenges players to speed through circuits faster and with fewer mistakes. 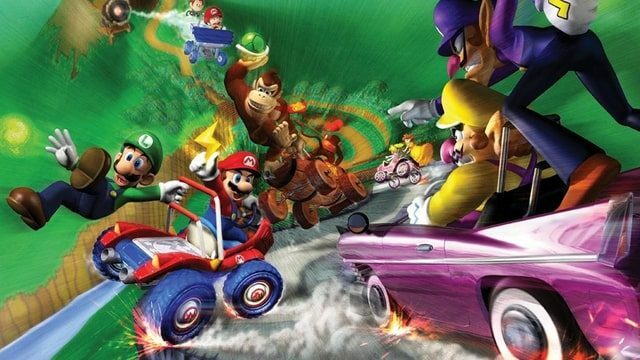 With a group of friends and family, Mario Kart morphs into a happy rivalry that will last long into the night thanks to each title’s assortment of secret shortcuts and power-ups, which can even help give newcomers a boost. The genuine fun of this franchise is infectious and will encourage people to pick up a controller as fast as they can, if only to prevent Yoshi from racing to the finish line with fraudulent tax papers again. Wii Sports set the world on fire back when it was included as a pack-in game for Nintendo’s motion-centric console. The title’s tennis, baseball, boxing, golf, and bowling modes are still accessible today, as nearly all of these can be played with a few button presses and swings of the wrist, which everyone knows given how it mimics ubiquitous real-world. 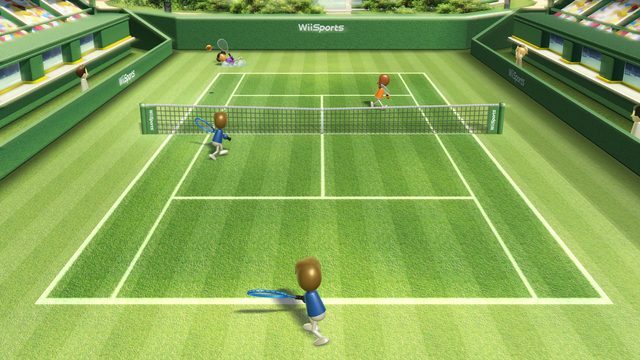 Few games have captured the same simple charm of Wii Sports since its debut in 2006. At the very least, it’s worth dusting off your Wii if you’re expecting company. 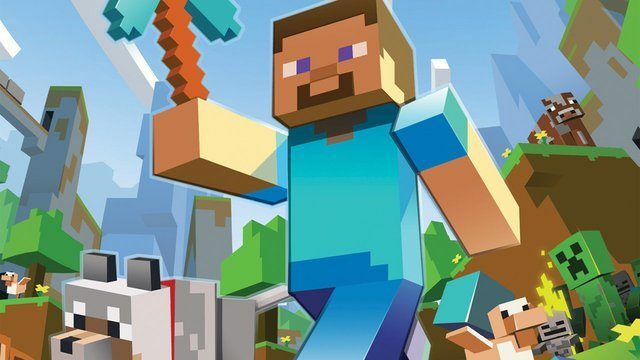 Most people in the Western Hemisphere have either seen or heard of Minecraft in some form, be it at the toy section of their local Walmart or in passing. This cultural phenomenon gives users the ability to create virtually anything they can think of, so long as they’re able to make it using blocks. From palatial monuments to small cottages in the forest, there are few limits to what people from all walks of life could build and discover. It’s the perfect title for a parent or grandparent to play with his or her kids, as there’s little gameplay sophistication outside of crafting. There’s even a Peaceful difficulty mode for new players in case they want to explore in peace. The games above are well suited for family or friends who aren’t too familiar with the medium. Be it racing down a colorful circuit or building new worlds together, each title offers plenty of fun to be had by people of all ages. With the holidays fast approaching, there are few better ways to have a good time and share your passion of video games with those you love.